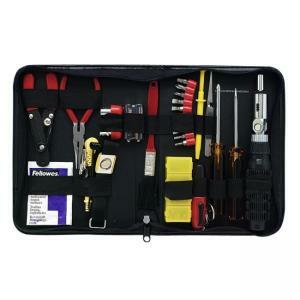 Premium 30 Piece Computer Tool Kit is a proficient technicians ideal. Includes 3-Claw Parts Retriever; Reversible Action Tweezers; 1/8" Flathead bit; 3/16" flathead screwdriver (long handle); 3/16" flathead bit; No. 1 Phillips screwdriver (long handle); Fully Flexible Ratchet Driver (three-way latch); Torx driver bits (T8, T10, T15); PC Adapter bit for ratchet driver; 4mm and 6mm (1.4") slotted bits; No. 0 and 2 Phillips bits; 2-in-1 combo nut sockets; bit holder; flashlight with clip; two standard AA batteries; antistatic/antishock wrist band; diagonal wire stripper; long-nose pliers; small brush; spare parts and container; four surface wipes. Unique combination bits offer two sizes in one bit in metric and standard units. 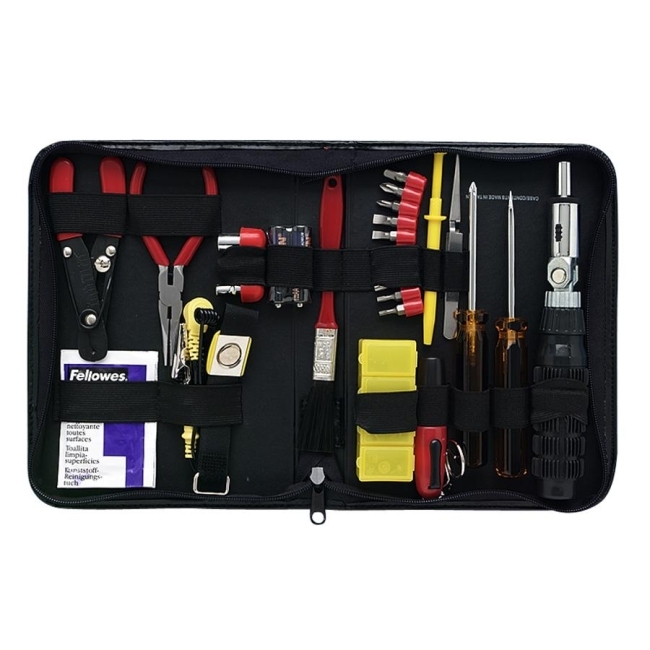 Demagnetized tools are conveniently packaged in a black vinyl case with zipper to keep all the tools organized and safe.